Dissension to the point of rebellion is brewing in the Battleworld governed by New Attilan. Doom commands Medusa, Queen of New Attilan, to annihilate the rebellion quickly. Attilan Rising was an interesting Secret Wars miniseries. 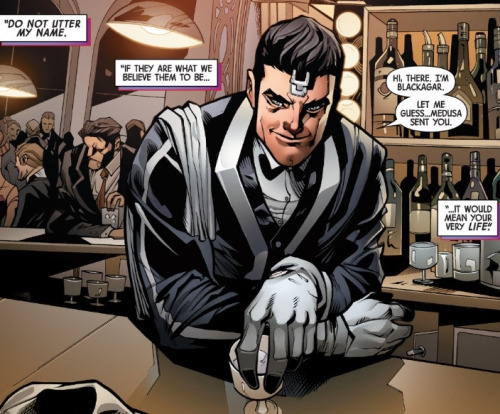 It reinvisions many of the Inhumans personalities most notably Black Bolt, who has never gone through terrigenesis instead of being exposed to the terrigen mist in the womb. Instead of the Inhumans being a fledgling group, they are the power and hands of Doom in that Battleworld. One oddity in the story is that it's never clearly stated why anyone would want to rebel against Doom. The reasons listed were mild at best. Anyone who read Secret Wars or other Battleworld miniseries would undoubtedly understand why people would rebel against Doom, but little reason is provided in the series. I enjoyed Attilan Rising overall, but I was disappointed about some of the characters excluded. It features most of the Inhuman Royal Family and most of the NuHumans, but some notable characters are left out such as Maximus and Crystal. Crystal often is excluded so that isn't surprising, but it's rare for Maximus not to make an appearance. It would have been interesting seeing him in a total different way and perhaps working with Black Bolt. I also was disappointed that Inferno, Reader, and Iso weren't featured. Most notably Inferno because he is my favorite NuHuman. 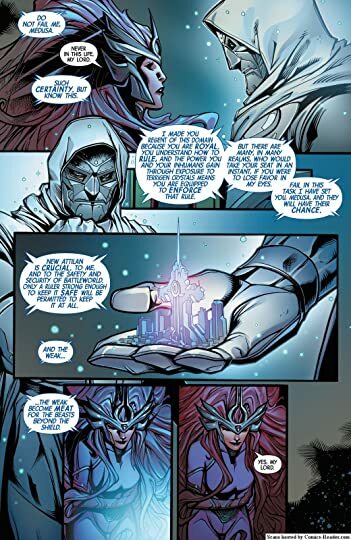 Attilan Rising was a good miniseries that allowed the author to freely mess with establish pieces of the Inhumans story.